Aloe Vera has deservedly gained a reputation as nature’s healing plant, and has been used by people all over the globe for centuries to promote a quick recovery from skin damage. Many products claim to be made from Aloe Vera, but often they do not contain enough of the crucial ingredient to produce the desired effect. 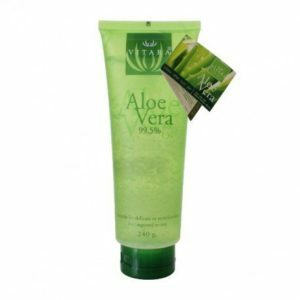 Aloe Vera 99.5% is a strong, pure, reliable source of Aloe Vera, helping skin-irritated individuals to find the results they’re looking for. It is like having a healthy, well-tended aloe plant inside a convenient bottle, ready for quick application. Many people have found that by applying Aloe Vera to cut, burned, irritated or sun burnt areas of the body, they were able to experience a significantly quicker recovery. Aloe Vera 99.5% may also be used as a revitalizing moisturizer, keeping skin smooth and looking young, or on areas of the skin suffering a fungal infection. Please consult with a healthcare professional before beginning routine aloe treatment of a long-term skin condition.